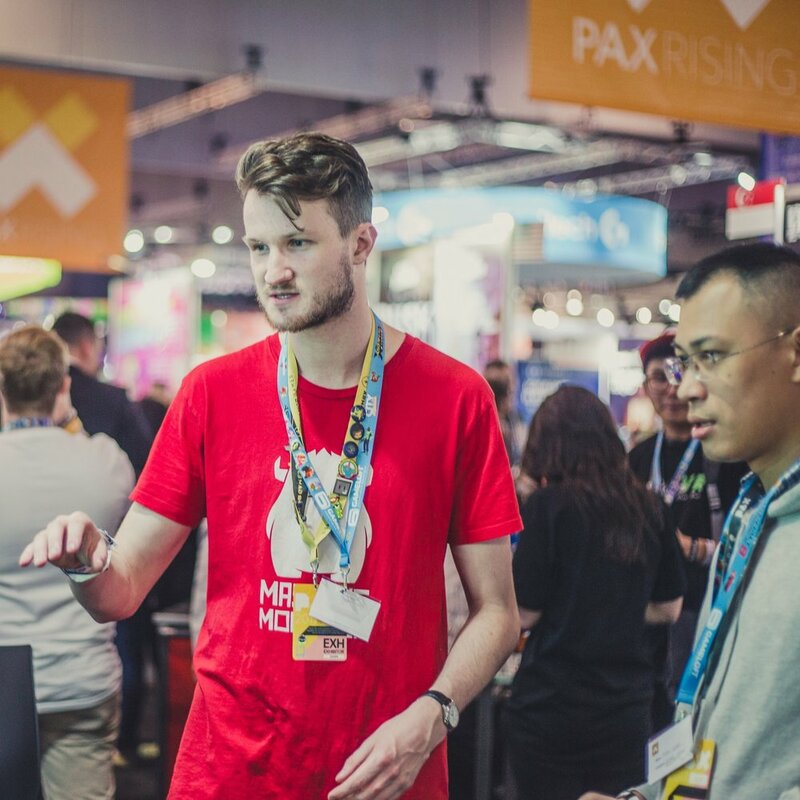 Held in partnership between Trade Media and ReedPOP, Interface at PAX Australia aims to connect Australia’s rising development talent with local and international senior industry leaders. Interface is held after hours on the PAX Australia show floor within the PAX Rising area. The event allows two representatives from each exhibitor to network with, and showcase their work to a curated list of over 100 senior industry members. The event was built on the mantra, ‘Establish a connection’, allowing a networking opportunity. Following the event, special meeting room access is available to continue conversations. Now in its third year, Interface at PAX Australia is once again presented by Film Victoria.